CHICAGO — Time waits for no one. And if you’re 40 years old, like Manny Pacquiao, you ain’t got time to wait for anyone, either. So as Floyd Mayweather continues to flip-flop on whether or not he’ll fight the Filipino legend to a rematch, Pacquiao is going ahead with Plan B. A source with Team Pacquiao told Boxing News and Views that Keith Thurman has been targeted as a possible next foe. The undefeated Thurman (29-0, 22 KOs) is not an easy assignment for PacMan, no doubt. But the 30-year old super world welterweight champion, who was inactive for 22 months due to hand and elbow injuries, looked sluggish and vulnerable in his recent fight against Josesito Lopez last January 26 at the Barclays Center. Thurman escaped with his title but almost got knocked out in the seventh round. Negotiating the fight won’t be that hard considering both fighters box under the banner of Al Haymon’s Premier Boxing Champions (PBC). 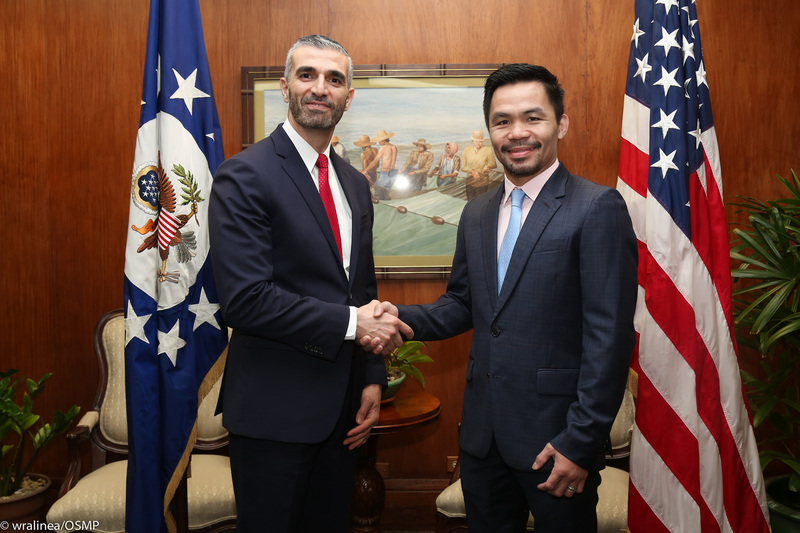 On the heels of his triumphant return to Las Vegas following a two-year absence from fighting on U.S. soil, Pacquiao reestablished his box office might as his January 19 demolition of Adrien Broner sold over 400,000 units on Showtime pay-per-view in the US. His performance received ravishing reviews while the reluctant Broner was panned for his unwillingness to engage. Meanwhile for now, Pacquiao is back doing his day job as a Senator in the Philippines.